Amscan International - Sitting Bunny Multi- Balloon 2831001. All Balloons are supplied uninflated. Inflate With Air. No Helium Required! Measures 18 Inch Supplied flat and without ribbon or weight Self seal valve suitable for helium or air. 1 X 21" SUPER MARIO FOIL BALLOON. 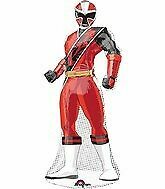 NEW - GREAT 21" FOIL BALLOON. FOIL HELIUM BALLOON. SUPPLIED FLAT WITHOUT HELIUM. ARSENAL FOOTBALL CLUB. This includes 3 Super shape Minion balloons 16"(40 cm) x 25" (63 cm) in size. Foil Mylar Balloon. 18" Square Shape. It's not just any balloon, this is an AirWalker, these look like they're walking along with you when you pull it gently. This turtle is in a crouching position, ready to take on whatever task you give him! 4 x Navy Blue 11" Latex Balloons. ☆ ☆ Party Balloons ☆ ☆. 4 x Silver 11" Latex Balloons. 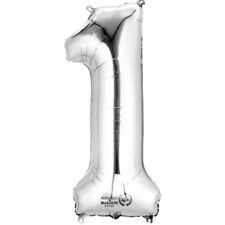 4 x Clear 11" Latex Balloons. 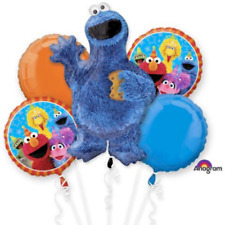 These balloons are suitable for you to fill with helium or air for the desired effect. Girls 1st Birthday Balloon Foil 18th Round Lilac. Dispatched with Royal Mail 2nd Class Large Letter. ACTUAL BALLOON SIZE IS 8X14" WITH THE STICK 16". IDEAL FOR ANY CELEBRATION. AIR FILLED. SELF SEALING. 80th birthday Balloon 18” Round Foil. Dispatched with Royal Mail 1st Class Large Letter. Fantastic Square Foil Balloon from the Lego Ninjago Series! Anagram Noddy HAPPY BIRTHDAY Boys Girl Kids Round Foil Helium Balloon 18"
These balloons are ideal for any Noddy fan! High quality, self sealing, fill with helium and refillable. Take to a florist, supermarket or similar who should inflate for a small fee. Anagram Blue FOREVER FRIENDS IT'S A BOY New Baby Round Foil Helium Balloon 18"
An Anagram foil It's A Boy balloon featuring the ever popular Forever Friends bear ! High quality, self sealing, fill with helium and refillable. Take to a florist, supermarket or similar who should inflate for a small fee.